I’ve always had a love for local food, and it’s grown bigger over the last few years. Farmers Markets are stepping up their game and more local farm-to-table restaurants are opening their doors. The flavors that you can find right in your backyard or community can really bring a dish to life. 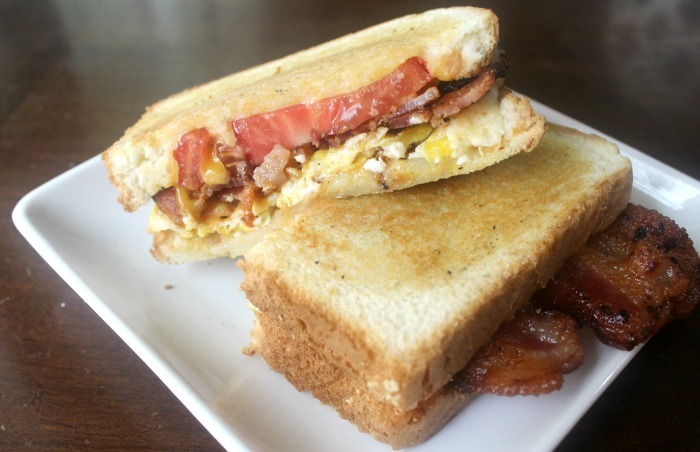 Like the tomatoes and Applewood Smoked Bacon from the sponsor of this post, Farmland, that I use on my Breakfast Grilled Cheese. I wouldn’t drop a delicious bomb, like Breakfast Grilled Cheese, without telling you how to make it. The best part is that you can make it two ways. 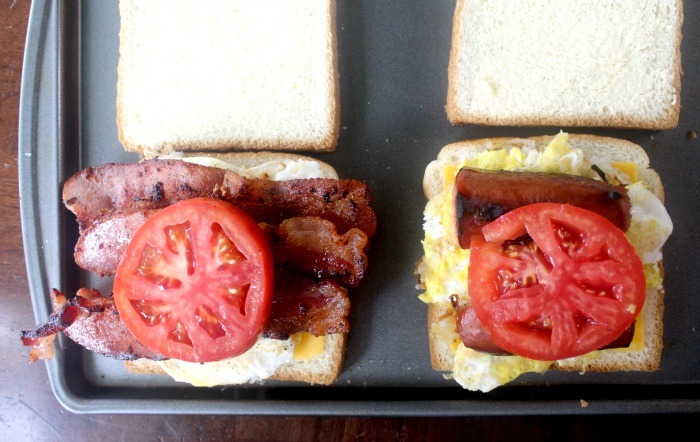 Make it with bacon, or make it with sausage. Actually, you could make it three ways if you count making both, cutting them in half, and sharing with your spouse so you can enjoy both! Are you a bacon person? 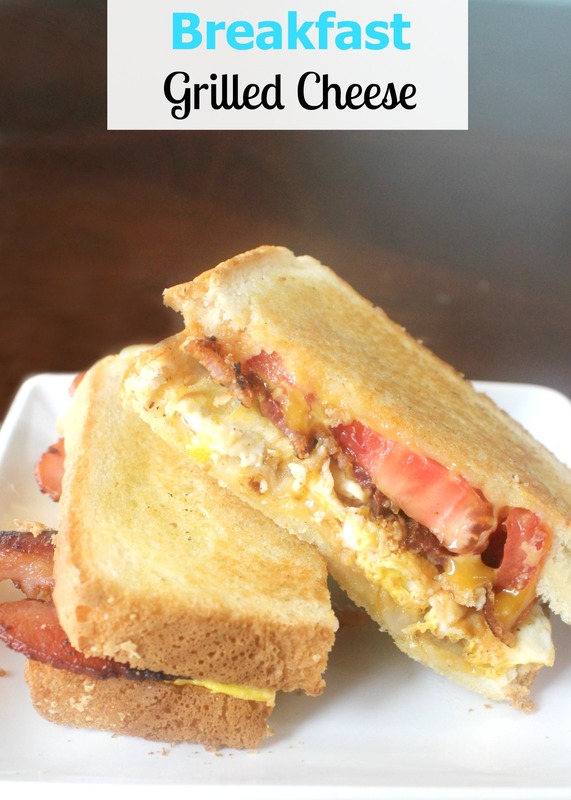 You’ll love this Breakfast Grilled Cheese with Farmland Applewood Smoked Bacon. The flavor and sweetness of hand-trimmed bacon that is slow smoked over real Applewood chips mean maximum flavor for your Breakfast Grilled Cheese. Not to mention the Farmland headquarters is right here in the Midwest (it’s just a few hours away from me! ), and they’ve worked with local farm families since 1959 to provide customers with food they can trust and feel good about. You can pick up these delicious Farmland products plus other local, fresh ingredients at Hy-Vee. Are you a sausage person? Try your Breakfast Grilled Cheese with Farmland Hickory Smoked Sausage Rope. No, we’re not putting the whole rope on a sandwich, you will have to share some of that deliciousness. I do mean delicious because this savory sausage is smoked over real hardwood and includes no added hormones. Farm-to-table, Farmland Hickory Smoked Sausage Rope adds a smoky flavor to any meal, whether it’s used as an ingredient like this in our Breakfast Grilled Cheese, or served as the main course. Check out FarmlandFoods.com for more “farm-to-table” recipe inspiration! First, start cooking the bacon or sausage in a pan. Once that is going, start cooking the hash browns. When the hash browns are done, remove them from the pan and begin frying the egg. Once the egg and the bacon or sausage are done, begin assembling the grilled cheese. Butter one side of each piece of Texas toast and lay a piece of cheese on one side. 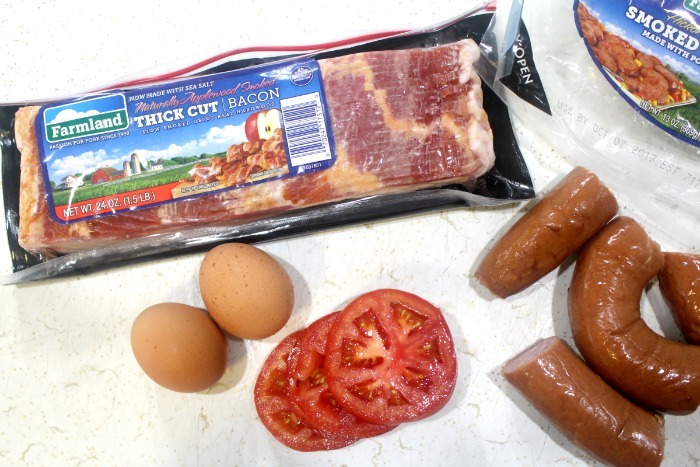 Top the cheese with hash browns, fried egg, bacon or sausage, and a slice of tomato. Finish it off with another slice of cheese and the second piece of Texas toast. Place the grilled cheese back in the heated pan and grill to perfection on both sides. When it’s all grilled up, remove it from the pan and cut in half. There you have it. 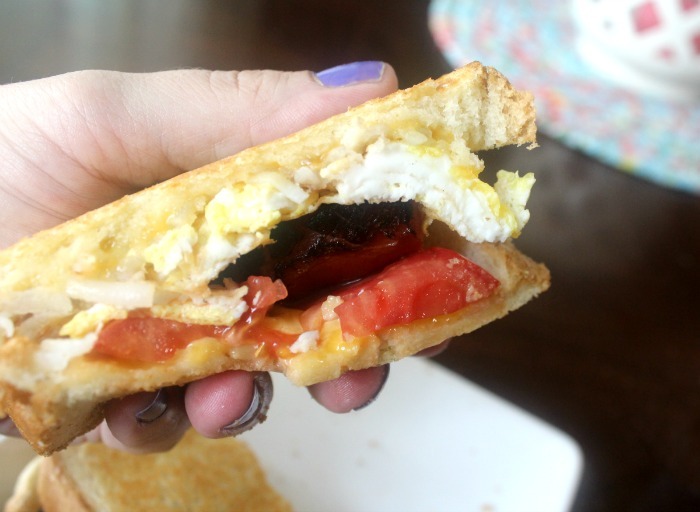 A Breakfast Grilled Cheese that will have you looking forward to the morning! All of Farmland’s great tasting products are products of the USA, made with quality ingredients, and contain no MSG or added hormones. From the bacon and sausage to specialty cut ham, and more, all in a variety of cuts and flavors. In the Midwest, we take pride in our meat, and Farmland has taken pride in perfecting its curing and smoking technique for decades. 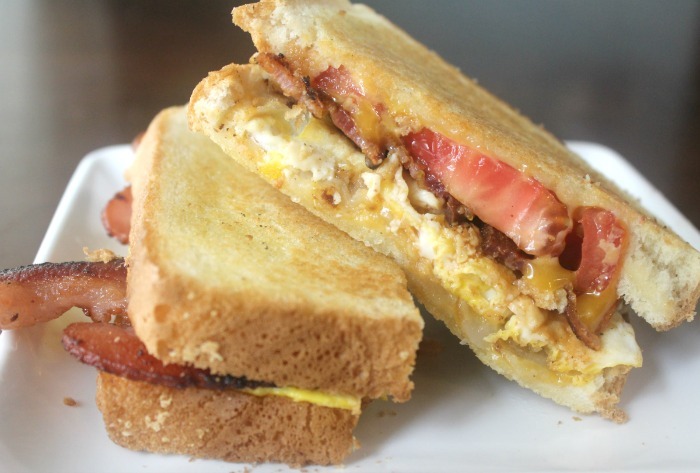 You can taste that Farmland is bringing products from the farm to your table in every delicious bite of these Breakfast Grilled Cheeses. 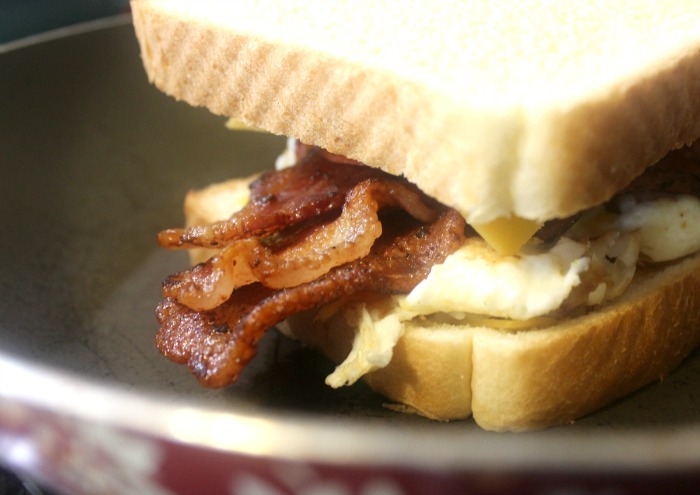 Farmland Bacon has been named Cook’s Illustrated #1 Highly Recommended Bacon, #2 Best Bacon by Bon Appétit, and a Top 5 Bacon Known to Man by Men’s Health, in the past. Find more delicious recipes at FarmlandFoods.com! Through August 21st, you can enter the Farmland Sweepstakes for the chance to be one of nine winners! 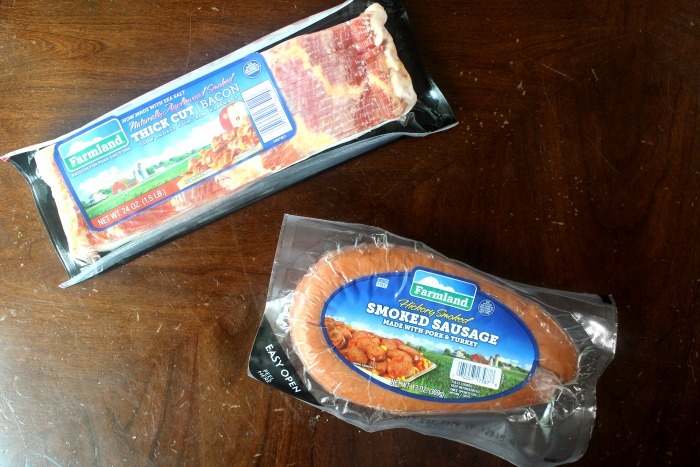 Eight winners have a chance to win a year’s worth of FREE Farmland Bacon and ONE winner will receive a $200 Amazon Gift Card + a year’s worth of FREE Farmland Bacon! How awesome is that? !